Above you see what I received for my challenge. We were tasked to create one daytime and one night time look. 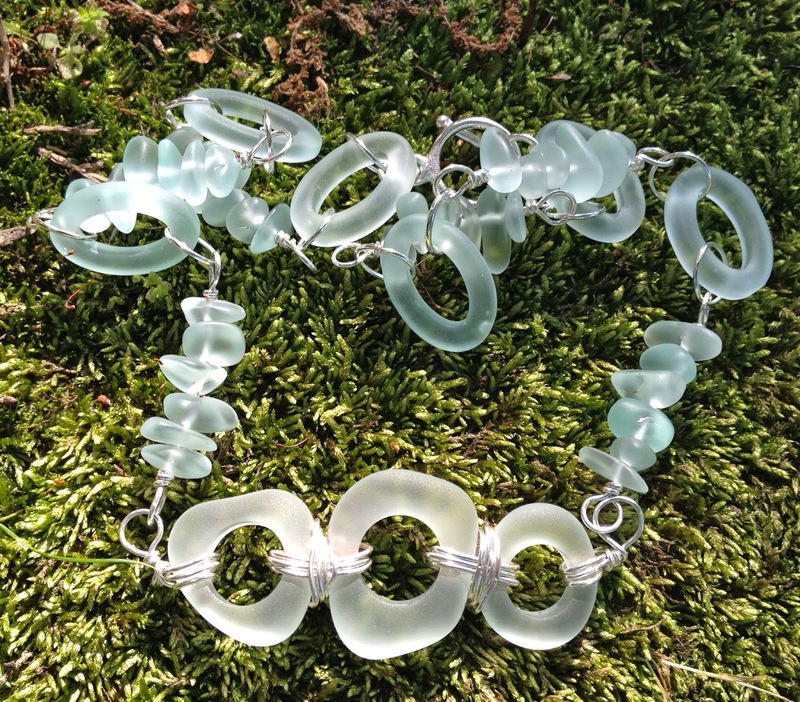 I chose to use the aqua 'coke bottle green' and white frosted cultured sea glass pieces. Znetshows also gifted me with a few extras including a few bits of rustic turquoise blue sea glass beads and lavender opaque sea glass barrels. I chose the 'coke bottle green' color, not only because I love it, but also because I had some left from a previous project and I wanted to have plenty to incorporate into my design. I played around with several configurations. 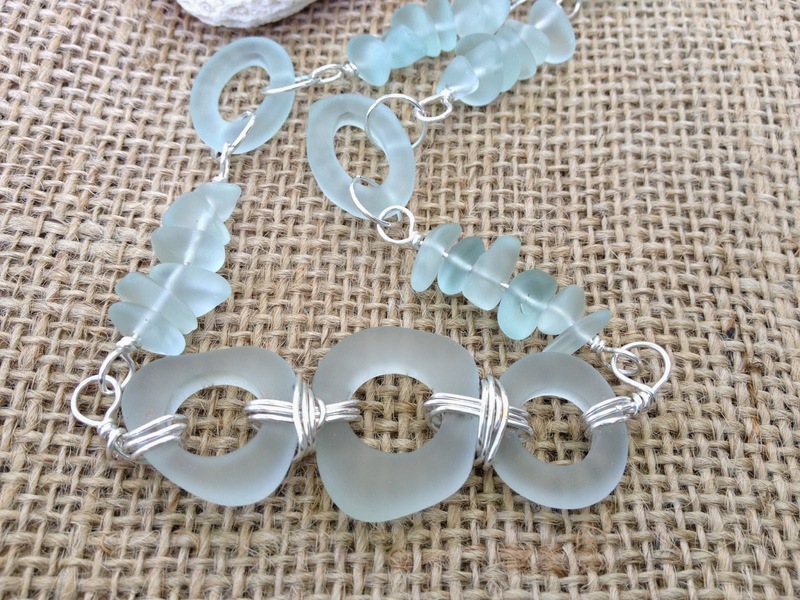 I even thought about including some great glass pearls or chinese crystal beads [which I also have from Znetshows], but in the end I felt like the cultured sea glass needed to be the star of the show. For my daytime look I used fine silver plated style wire and jump rings and created a tryptic focal from the three large rings. 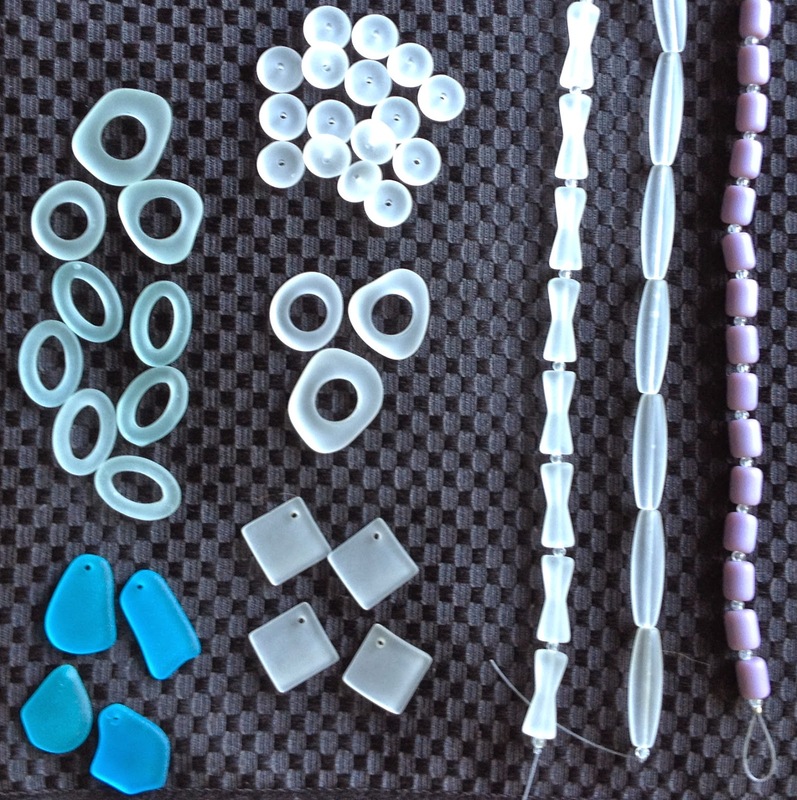 I then made individual links from cultured sea glass nuggets and spaced those with the sea glass ovals. A clean and simple toggle clasp completes the look. If you know me, you know I like the option to 'match' so I created a pair of matching nugget earrings. I love ephemera. 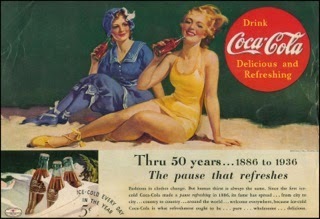 When I think about how ‘coke bottle’ green sea glass might come to be, I can’t help but think about some classic vintage advertisements from the 40’s. 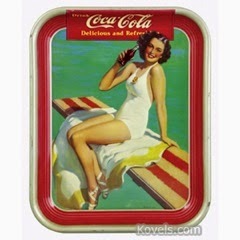 Think of drinking a Coke at the beach on a hot day and some how that glass ends up in the ocean. Tossed by the waves, shattered on rocks and tumbled relentlessly, until time and tide produce a lovely soft piece of beach glass. For my 'Nighttime' look I opted not to use the white I originally requested, but ended up using the rich opaque lavender sea glass barrels and some lovely Znetshows faceted chinese crystal I had on hand that coordinated perfectly. Using silver plated eye pins and jump rings I created a 'Jacobs Ladder' link style bracelet, perfect as an accent piece for an evening out. I added some silver tone chain and used a simple silver tone toggle clasp. 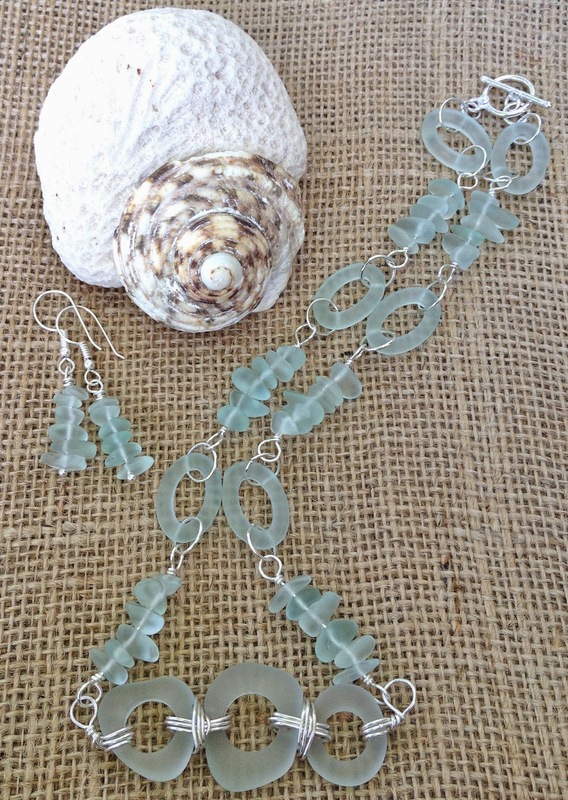 Lavender sea glass - This glass has a neat history. You see the chemical used to make glass white (glass in its raw state usually has a greenish tint to it, like an old coke bottle) well, this chemical came from Germany. When W.W.I broke out the chemical could no longer be used and the replacement chemical that was used turned glass lavender over a period of time. It's cool to think when you find a piece of this color, you can date it! Lavender glass is abundant in some areas and non existent in others.True purple glass is much rarer. In our English Sea Glass collection, it averages one in 5000 pieces as true lavender glass was reserved for the Monarchy (showing Royalty) and for the Bishops in the church. As a US Navy wife, I have the opportunity to attend a least one formal military ball each year. I would wear this to that event with a long violet purple one shoulder gown and have this bracelet on the opposite wrist as an amazing accent piece. Because I like things to match I would make some earrings from those beautiful chinese crystals too. Please see the other amazing artists who participated linked below. TammieEverly ** you are here! 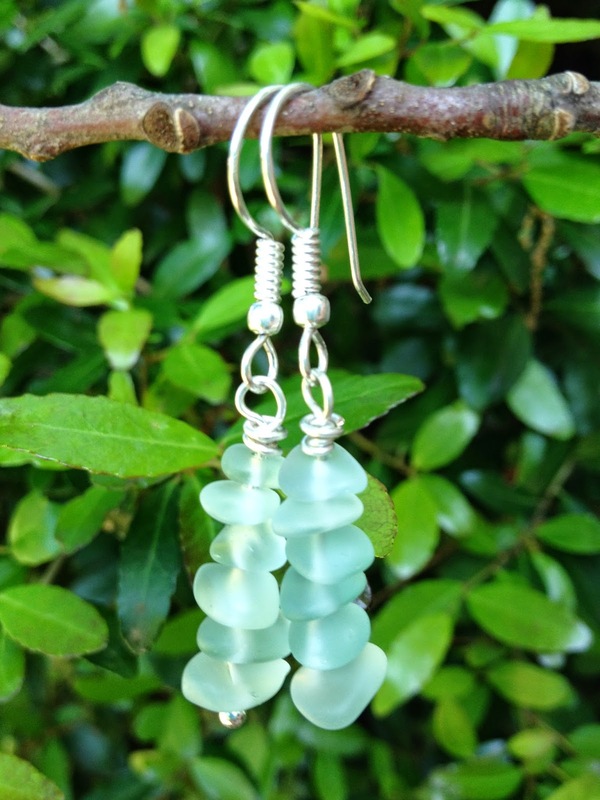 You really created some heavenly pieces with your sea glass. 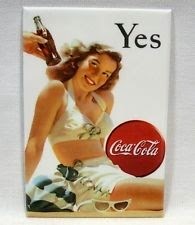 The coke bottle one is subtle but gorgeous, and your bracelet is a show stopper for sure. Excellent work on this challenge!! I love the coke bottle green color too. I also happen to love the nugget and free form circle shapes, so your first set really appeals to me! Your purple sparkle bracelet is beautiful. Definitely formal-worthy! I love your pieces they are all beautiful. The day time necklace and earrings are perfect for any summer time outfit and the night time bracelet will be stunning with the purple gown you have shown. I lovc your creations and the inclusion of your inspirations. Love the purple barrel bracelet design. Those barrels were my favorites to work with in my pieces, too! Having so much fun! Beautiful designs! I am so in love with your first set. It looks so fun and easy to wear. I love the first set! You showcased the sea glass perfectly. You picked such gorgeous colors! I really love that first set ... I was thinking the whole time I was reading your post that I should have picked that! And you also got that same lovely lavender that I got in my stash. I think my set would match that lovely bracelet of yours! Beautiful! 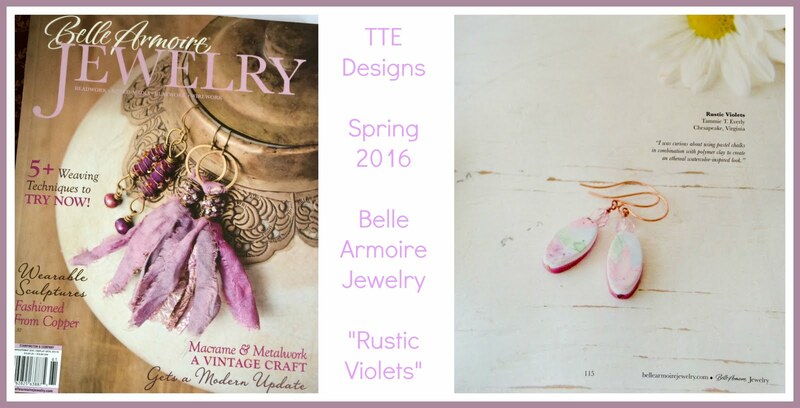 Love the ethereal feel of the first set and the chunky design of the purple bracelet! I really liked how you talked about how the coke bottle sea glass came to be, its possible past and its present form. That made the design much more personal. The whole piece really "came together" beautifully. As for that purple bracelet, definitely awesome. 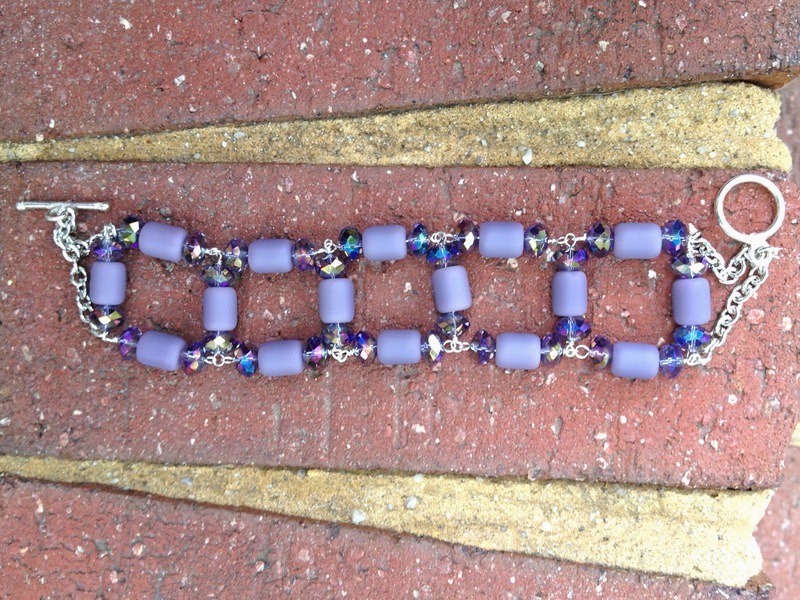 The contrast between the matte finish of the purple beads and the sparkle of the faceted beads "makes" the whole piece. Tammie, so gorgeous! So creative. I can absolutely see you in that gorgeous purple gown, with the show-stopping purple bracelet on your wrist! 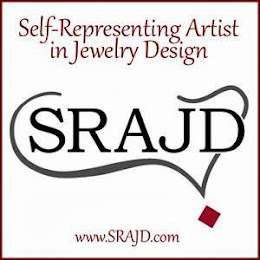 You made some amazing pieces! 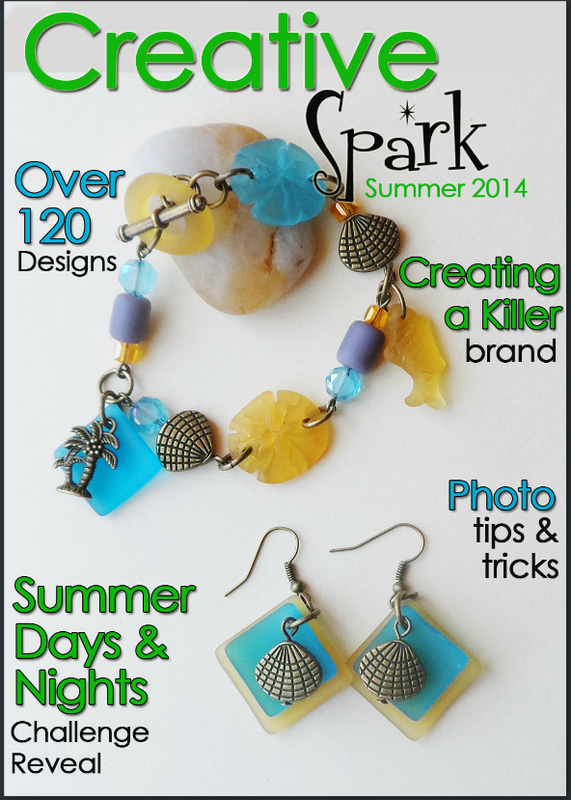 Hi Tammie, I like the first necklace but I adore your purple bracelet.Great job designing. I LOVE the purple barrel bracelet! Your pieces are beautiful - the daytime set is so soft and lovely and your nighttime bracelet is stunnung.